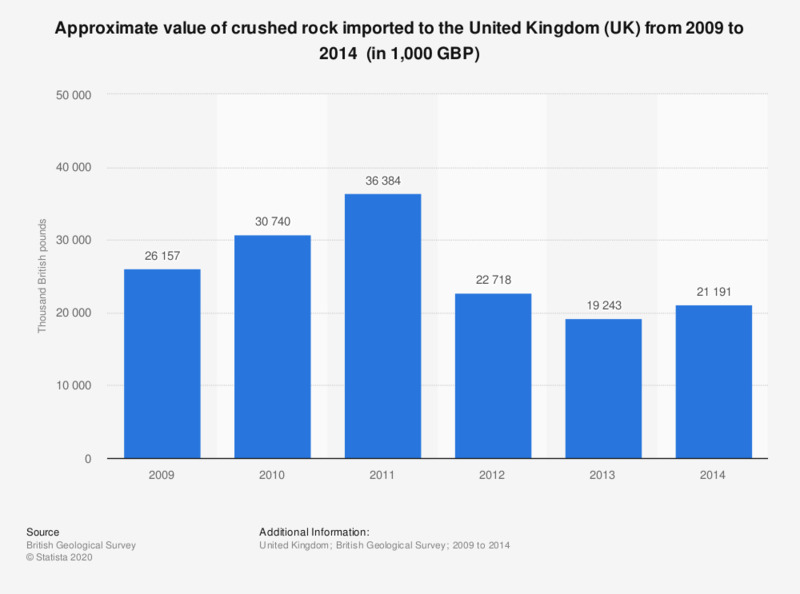 This statistic illustrates the annual import value of crushed rock in the United Kingdom (UK) between 2009 and 2014, in thousand British pounds. In 2012, 22.7 million British pounds worth of crushed rock was imported to the United Kingdom. For a number of years a significant amount of amourstone imports are believed to be wrongly classified as 'granite, crude'. Care should be taken when comparing long time trends.